New or existing customers desiring to receive credit from Aurident are invited to down-load and fill out the credit agreement. Please send the original signed form to Aurident, Inc. at PO Box 7200, Fullerton, CA 92831 for us to process your application. 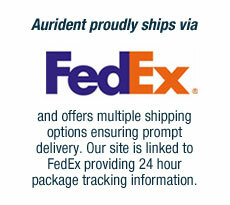 If you have any questions, please feel free to contact your sales representative either by telephone at (800) 422-7373 or by email with your representative’s name in the subject heading to sales@aurident.com.